This stretching of the Gold Line deeper into the San Gabriel Valley is just about complete. Testing is happening throughout the route and stations—which sprawl from Arcadia to Azusa—and a massive maintenance facility opens on Saturday (three months early, and complete with a public park). The only threat to a timely opening is testing snafus and a lack of train cars, which are pouring in slowly from an overseas manufacturer. It’s hard not to notice the bright blue stations that have sprouted throughout Palms, Rancho Park, West L.A., and Santa Monica. 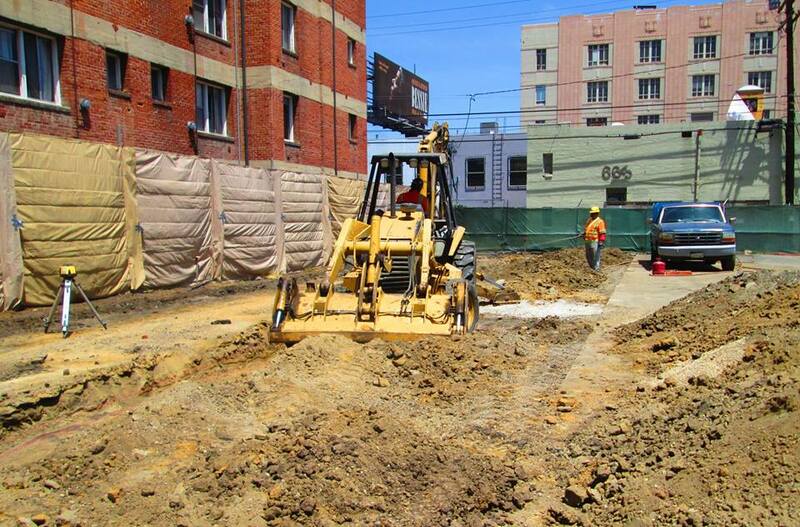 Work is wrapping on the western terminus near Santa Monica Place and early testing is happening in Cheviot Hills. Pictures recently appeared on social media showing a train stuck along Overland Avenue, but it appeared to be a minor snafu. Barring any other surprises, and adequate trains, expect an opening in April or May of next year. 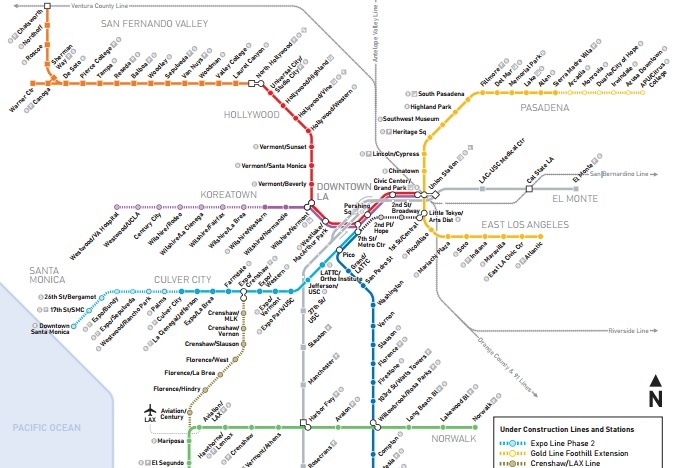 There have been some dust-ups with this Westchester/Inglewood/South L.A. light rail line connecting the Green Line to the Expo Line. First there was a halt to work in late March because of safety lapses and now there’s concern that construction of a recently-added station at 96th and Aviation—which will connect to an LAX-bound people mover—could delay the planned 2019 opening. While Metro is working with Los Angeles World Airports, the builder of the PM, on a coordinated ribbon-cutting, many details remain up in the air. Regardless, construction on underground stations along Crenshaw Boulevard is moving fast; the last of three is being built right now. This 1.9-mile underground light rail will connect various lines, reducing transfers and adding three stations in DTLA (one of those includes transforming a currently-operating surface station in Little Tokyo into a subway stop). Potholing and utility relocation are still happening throughout downtown and heavy construction, like tunneling, could begin at the end of the year or early next. There’s a lawsuit from business owners related to construction methods, but Metro officials said they don’t expect that to delay the opening. A subway to Beverly Hills will be a real thing in less than a decade—barring any unforeseen surprises. 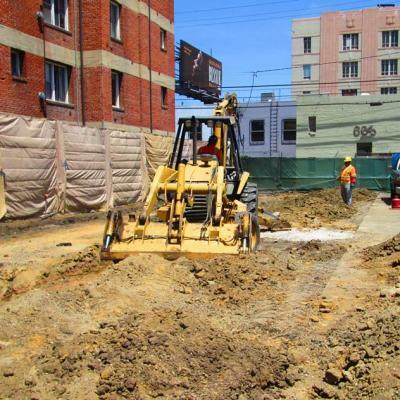 Utility relocation is happening from Western Avenue, the subway’s current terminus, to La Cienega Avenue, the terminus of phase 1. While Beverly Hills is suing over placement of the Century City station in phase 2, the city and transit agency already came to an agreement on utility relocation regarding the La Cienega station; that’s something that will seriously ease work on phase 1. Metro will soon knock down their own building at Wilshire and La Brea avenues to build a staging yard to be used for construction of the La Brea station. Near the future Fairfax station, the area is a hive of activity and not just because of Metro. Work is commencing on a makeover of the Petersen Automotive Museum and, soon, the Academy Awards Museum. Metro’s Jody Litvak tells us the agency is working in concert with the other builders so no one’s construction is impeded. Look for tunneling to begin in the second half of 2016.